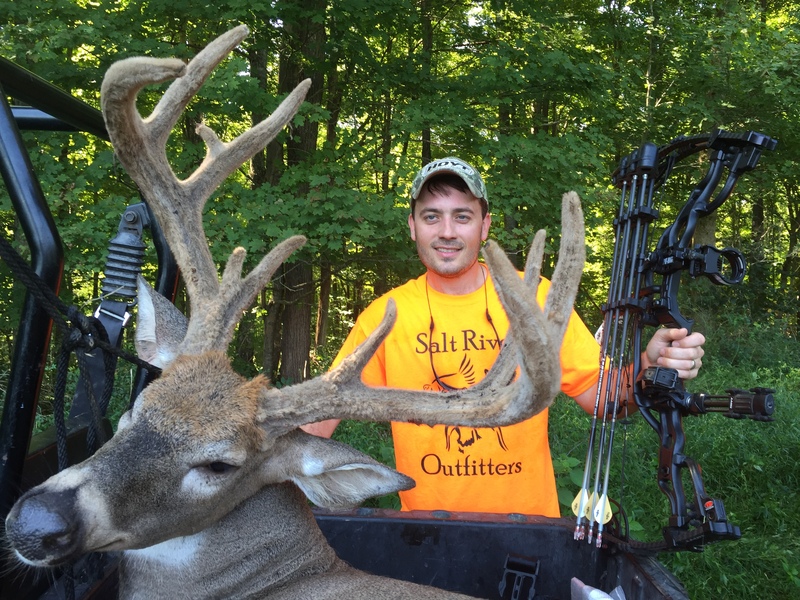 Here at Salt River Outfitters we have over 9,000 acres in Kentucky that we manage. The land is located in 6 counties in central Kentucky. It consists of everything from large agricultural fields to oak ridges, cedar thickets, flat land, gently rolling hills and limestone bedded creeks. Every year, we put in several strategically placed food plots. A perfect habitat for healthy deer! 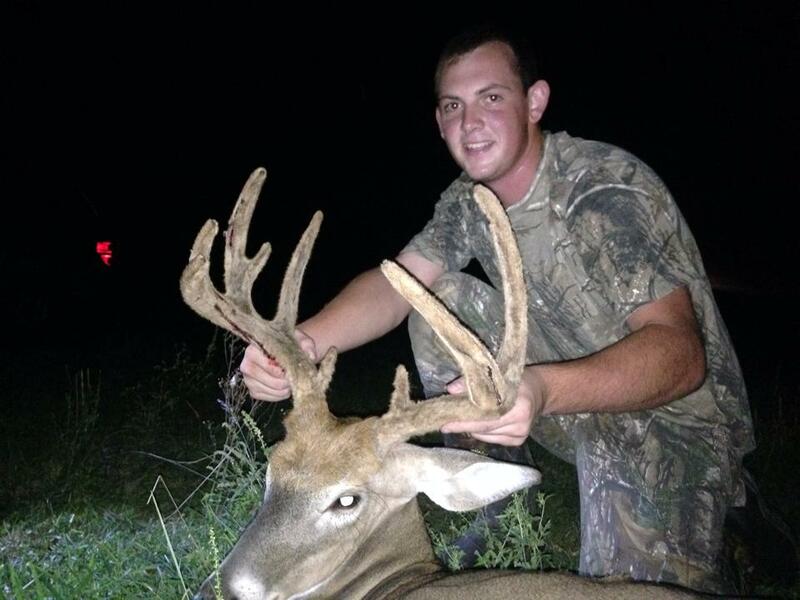 You can expect to see several deer each trip you make to Salt River Outfitters. This is due to the strict management that we enforce on our properties. We also have an endless supply of food and water sources that attract many deer to the area. As an added bonus, while you hunt with us, you can take tours of the many distilleries on the Bourbon Trail that are located in the counties we hunt. At the lodge you can relax and unwind between hunts. We have billiards, ping pong, darts and basketball all available at the lodge for your entertainment! 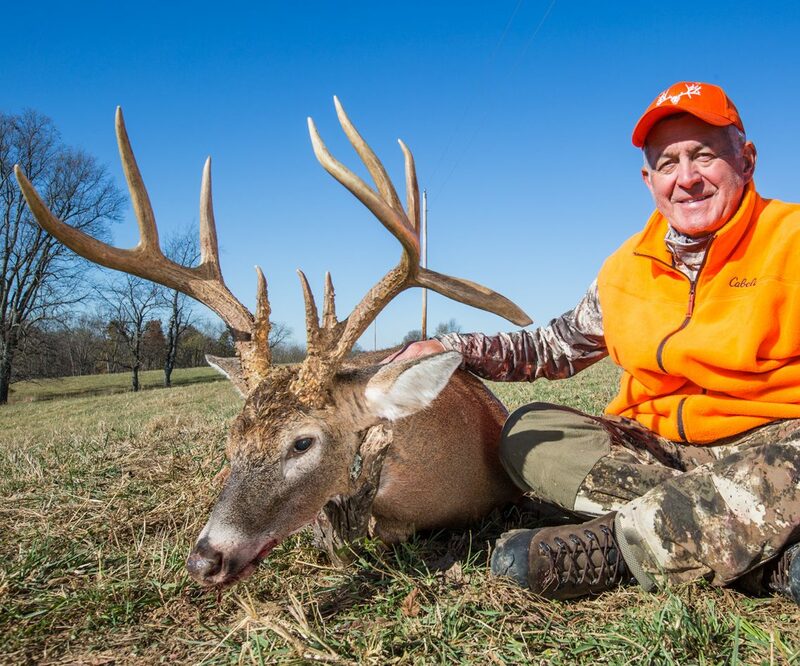 – Lodging is included in the hunt – Secluded lodge sleeps up to 30 hunters – 3D targets on site Bourbon Distillery Tours can be scheduled during your hunt. There are several distilleries within 30-40 minutes from the lodge. 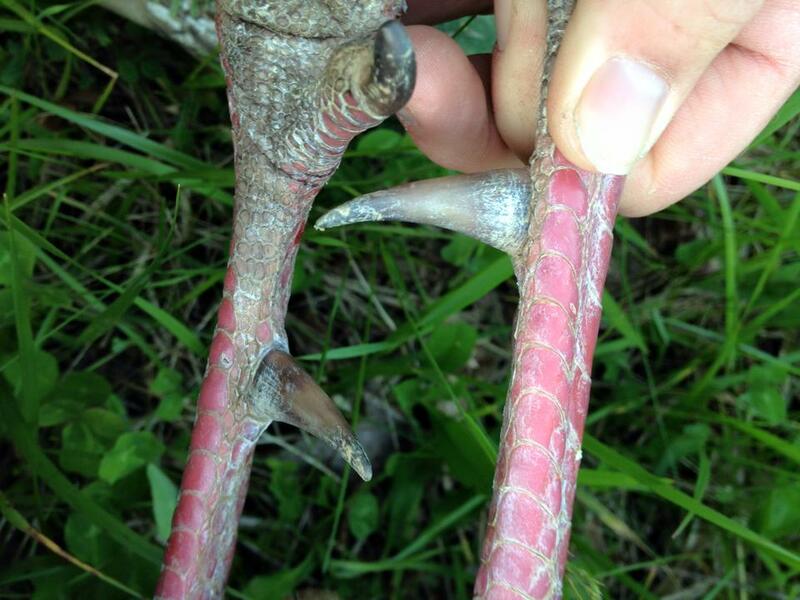 Turkey Season is April/May We have several farms with lots of birds and this creates great hunting opportunities.